Accessibility of medicines is a sensitive issue that must not be examined in isolation. Policymakers, academics, business and patients must be part of the discussion as well as “innovation” because access would not get the focus it needs without it, according to Dorli Kahr-Gottlieb. Dorli Kahr-Gottlieb is the Secretary-General of the European Health Forum Gastein (EHFG), which takes place in Austria on 4-6 October. She spoke to EURACTIV’s Sarantis Michalopoulos in Gastein. You have identified three scenarios for the future of health in Europe, and the opening plenary of this year’s EHFG is “visions of a better future for Europe”. What is your vision for a better future of health for Europe? This year is an important one for us because it marks our 20th anniversary. We could have chosen to focus only on that. Looking back on successes over the past 20 years, charting how the Forum has become the place where EU health policy is discussed before it becomes reality in Brussels. But since a key feature of the Forum is all about talking and exploring ideas before they become policy, it seemed logical to take a brave new step into the future. The “Health Futures Project” is our contribution to the Forum participants to look at and discuss the future. To develop our vision for the future, we called on the Forum’s extensive network of experts from policy, academia, civil society and business. They developed three challenging scenarios for the European health landscape in 2037. As with all scenario exercises, they come with a health warning: scenarios are about how the future could as opposed to will unfold. They are neither predictions of the future nor plans of action. What they want to achieve is to foster an understanding of the choices and roles we have in making the future happen, and dealing with it once it is here. For this reason, also we cannot in good consciousness share a single vision of a better health for Europe. But one thing is sure: all of our scenarios are rooted in the certainty that we will experience profound change, in our societies, in our expectations of what governments should deliver and how we as individuals and communities may take our health into our own hands, in how technology will be a force for good or empty promise. The “Health Futures Project” offers us all the opportunity to exercise our intellectual muscles to help us better adapt to change. What is the most important lesson learned from the Health Futures Project? Possibly before we get into the lessons, let me paint a quick picture of the three scenarios for a better health in 2037. One scenario “The future is local” puts “fairness” at the centre of policy discourse, and achieving a better quality of life is now more important than economic growth. In this scenario, the state devolves power and resources on the basis of ‘freedom within a framework’. Heavy regulations on unhealthy goods and services are imposed. Health policy design and implementation are carried out at the local level. The second scenario is more liberal. We called it “Your Health, Your responsibility”. Here the futures project imagined a world in 2037 where governments launch a ‘health contract’, stipulating respective responsibilities for personal health. With the increased focus on prevention, one of the state’s main tasks is to make reliable health information accessible; the individual is expected to self-monitor his or her health. Our third scenario takes the view that governments have become more explicit about the health problems they want to address. They respond by proactively shaping the health tech market, and putting in place licensing for social benefits. The state takes an active role as market “facilitator”, using grants and cross-sectoral health innovation hacks. Increased knowledge about people’s genetic make-up and the proliferation of data analytics to predict and manage health has a profound effect on health system structures. Whatever the brave new world we envisage, the most exciting aspect of this project was the abundance of factors that can play a role in shaping the future of health in Europe, but that the role of governments is a key factor. However much we tried to think out of the box and to the future, we are hardwired in the present, and some of the elements of the scenarios may be playing out already today in parts of Europe. The scenarios point to a number of possible challenges for tomorrow which may help us consider our decisions today with regard to areas such as health inequalities, the policy process, harnessing the value from technological innovation and much more. Therefore, the report includes scenario “take-home messages” for policymakers and stakeholder groups like the civil society, private sector and academia. How can the EHFG make sure that policymakers and interest groups pick up on the outcome and lessons from the project? That’s the big challenge, isn’t it? As a forum, our ambition is both small and big. Small but tangible, because at the Forum this year, we can start to have a conversation. As Gastein has done in the past, we want this year as well to prepare the groundwork for future discussions about better health in Europe. But as the song goes – “from small beginnings come big endings”. These conversations around The Health Futures Project should help to free us from our day to day challenges and also hopefully from our ideological mindsets; make us better at looking to a shared future. So maybe the 20th anniversary present of the EHFG to its participants will be the odd “aha” moment when they go back to their jobs and recognise something in a scenario that was discussed and the big prize will be if we can be credited with helping our participants who are shaping our future to think of something new; something they hadn’t thought before or wasn’t put in the right perspective. Will the Health Futures Project change anything for the organisation of the EHFG? Everything we do every year has an effect on the years that follow. Generally, the Forum focuses all its efforts on helping create a programme that challenges its participants. With the Health Futures Project – and the help of the more than 50 experts that took part in it – we wanted to provide an injection of new ideas. We look forward to some great conversations with EHFG participants about the project. How interested will they be in it, what will be the feedback? Maybe something comes up during the discussions at the Forum that will be the basis for taking the Project to a new direction. Or, because of it, there may be ideas for other projects to carry out in the future. This kind of discussion plays to the Forum’s strengths –creating a special moment where people can think, listen, debate and interact with people with whom they may not always see eye to eye, but rich from this experience health policymaking will be more robust. And, as we always strive, maybe this year’s participants will say in the coming years, “ah, yes, this is something we discussed at Gastein”. 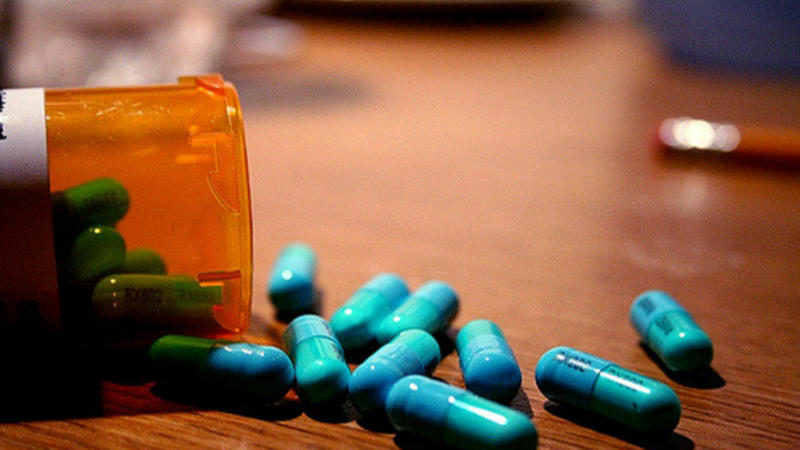 Access to medicines is one of the key themes of this year’s EHFG, but also a rather sensitive concern with many different stakes in the debate. How will the EHFG be able to ensure that the debate is balanced and that all voices are heard? It’s true that access to medicines is an issue that has been very hotly debated in Brussels and member states over the last couple of years. This is something our participants all deeply care about. And yes, it is a sensitive issue – and one that can’t be looked at in isolation. Without innovation, for example, there would be much less talk about access. While access to medicines exercises policymakers, academics and business alike, we must also make sure we listen to the voice of patients. Finding our way to “future proof” solutions won’t happen in isolation, each of us sitting in our towers (or mountain tops). That’s where the EHFG plays a very important role. Throughout these 20 years, the Forum has never been one-sided. We pride ourselves for insisting on developing a programme that is balanced, sessions that allow for time to listen to audience feedback and a social programme that creates special shared moments whatever our persuasion. This year will not be any different. We are happy to welcome everyone bringing their voice to the debate – our role is to create the forum for discussion, set the stage and the tone for an intelligent debate. The rest is up to the participants who will have a much more rewarding experience if they sign up to the Gastein way – lively, indeed passionate debates but firmly rooted in fairness and mutual respect. A European Parliament resolution adopted yesterday (2 March) called for transparency and clarity of public funding on research and development of new drugs, claiming that in such cases public investment should be reflected in the price of drugs. What do you hope this anniversary edition of the EHFG will achieve? What would make this edition “successful”? I would be very happy if we achieved three goals. Firstly, for one more year, consolidate the Forum’s position as the place where EU health policy is discussed before it becomes an action in Brussels. 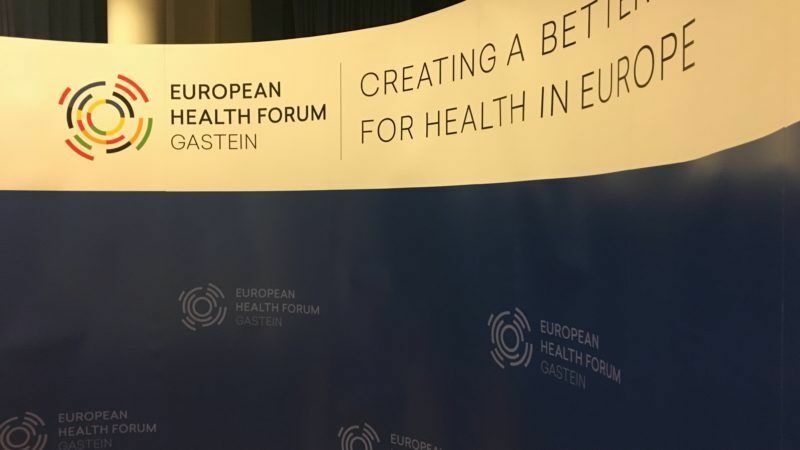 Our driving force has always been the “As discussed at Gastein” phrase – and I really look forward to some interesting views on “health in all politics”, this year’s theme. Secondly, due to this year’s special occasion of our 20th anniversary and the effort we have put behind the Health Futures Project, I would like to see the outcomes report of the Project being thoroughly discussed and exciting the participants. Thirdly, I look forward to listening to all of our knowledgeable participants and extracting from what they are discussing what will be the forward-thinking themes that we should be proposing for next year’s Forum.